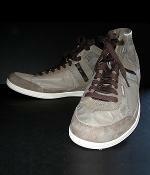 Diesel Gray Casual Lace-Up Fashion Sneakers These gray lace up fashion sneakers by Diesel look simple and that's all I need. Gray shoes are a must for any guy's wardrobe because gray is a neutral color and is very easy to pair to! 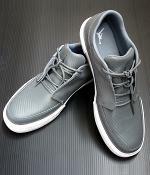 These men's gray casual shoes should always be part of casual attire. A simple and effective way to wear these gray lace up sneakers is put on a gray t-shirt or a gray polo shirt and a pair of light blue jeans. 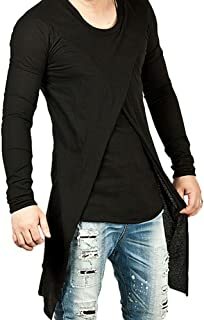 If you don't have a gray t-shirt then wear a gray jacket. Just make sure you've got some gray somewhere else and you'll be safe! True Religion Gray Canvas Shoes I was impressed by the style of these gray sneakers due to its matching colors - gray canvas and orange shoelaces. They make it easy to match with your outfit, and gray and orange are GREAT together! This pair of men's gray shoes has orange shoelaces and orange insole and an orange stripe around them. There's a signature "U" on their sides in orange! I wear these gray sneakers whenever they match my outfit well and they've served me great! It's SUPER easy to match these shoes to your outfit. Simply wear some brown or/and orange and these shoes will complement your outfit in style! 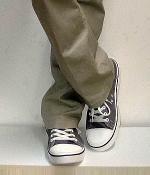 Converse Gray Canvas Sneakers These gray canvas shoes by Converse are a great find because I they go well with khaki pants. These canvas shoes are great casual shoes. 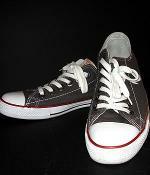 This pair of gray canvas sneakers is a classic lace up canvas shoes made by Converse. I wear these lace up canvas shoes all the time when I go out. This pair of gray lace up canvas shoes can be easily paired to the rest of your outfit. 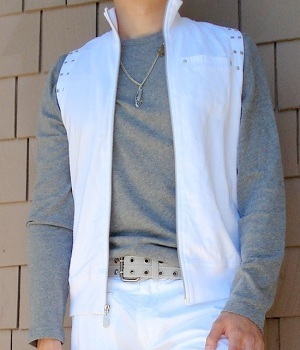 For example you can wear a gray graphic tee and a pair of khaki pants. These shoes are only for casual occasions. 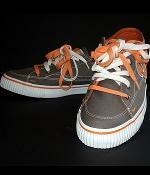 Khaki pants work particularly well with these gray canvas sneakers. 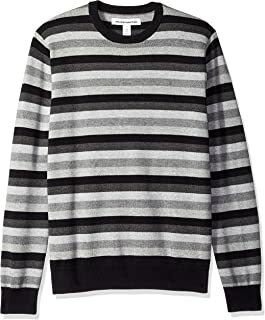 Men's Gray T-Shirts are one of the most Versatile Clothes. Discover Great Ways to Wear Gray T-Shirts Stylishly!